1st Place: Despite rain, snow, sleet and wind gusts approaching 40 mph, Dan Brock and Andrew Quillen dominated the event. Quillen makes it sound simple, "There's no secrets really to what we were doing. 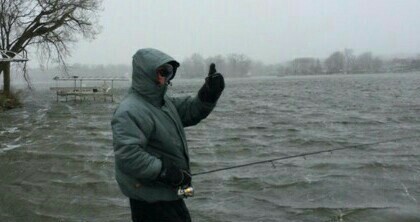 We tried to fish the roughest wind blown banks. All of our fish came on jerkbaits. We caught well over 20 keepers just by doing that. Since we don't have much experience out there, we just decided to cover water." Their five fish limit included the largest bass of the day, a 5.02 pound largemouth; their winning weight was 15.09 pounds. Their simple approach won them $342 and the big fish won them another $152, making their day worth nearly $500. 2nd Place: There was a tie for second place and according to rule #13, the big bass will determine the victor. 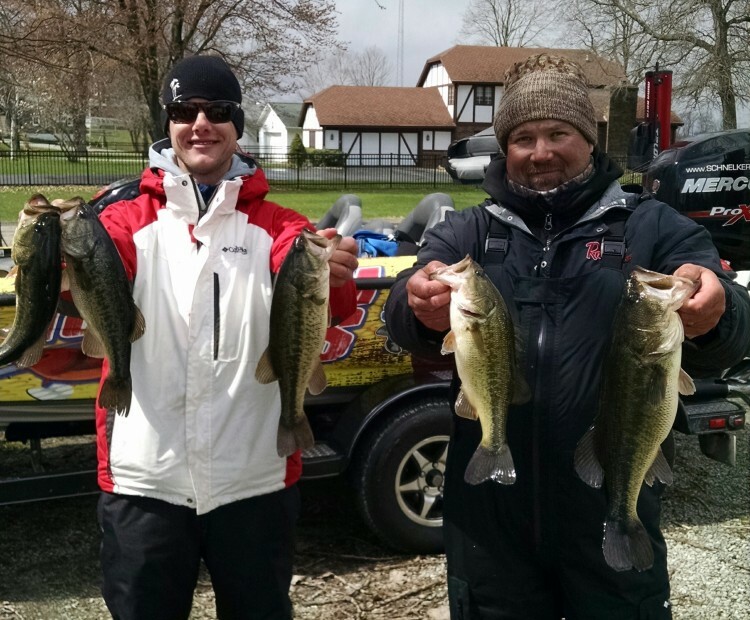 The 3.59 pound bass of Brian Whitaker and Chris Carman earned them the honors. 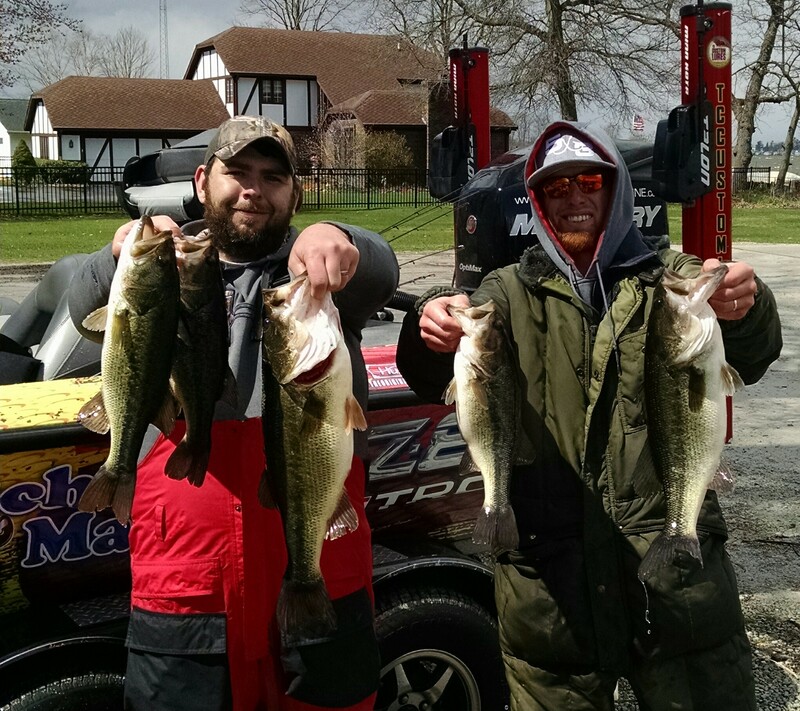 The team fished between 3-4 feet all day and caught all of their fish on lipless crankbaits and jerkbaits. 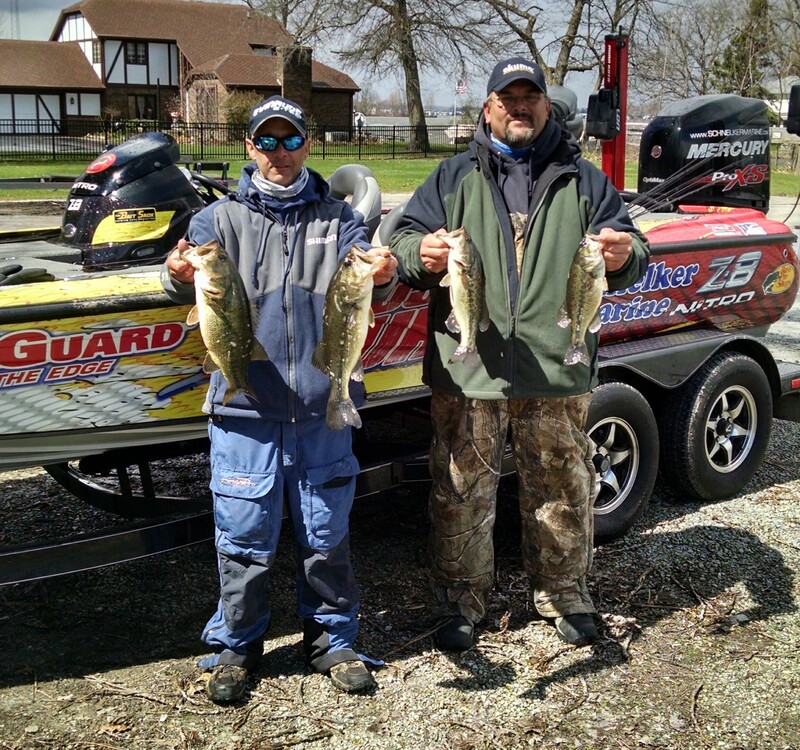 Whitaker added, "We didn't fish the heaviest wind but the wind was definitely key." 3rd Place: The other team with 10.59 pounds was Jim Hippensteel and Bobby Nelson. Their fish were fooled with red craw lipless crankbaits between 2-3 feet of water. They took home $174.